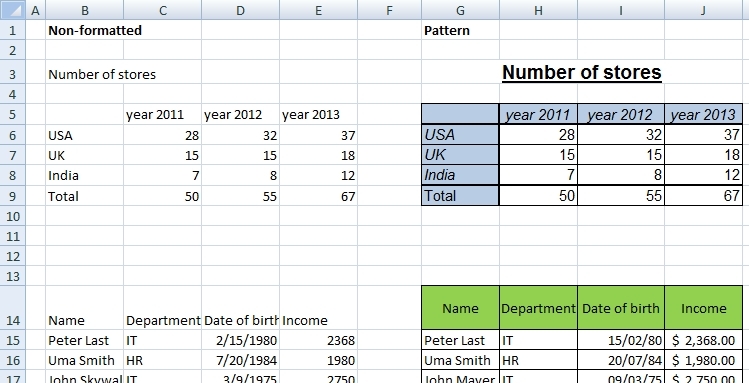 The cell formatting is a basic knowledge of using MS Excel. It’s not difficult but there are a lot of options and settings. This exercise shows some of the elementary types of formatting. The file includes five worksheets. Tables contain formatted values (pattern) and non-formatted values. Your task is to set the format to the same look. 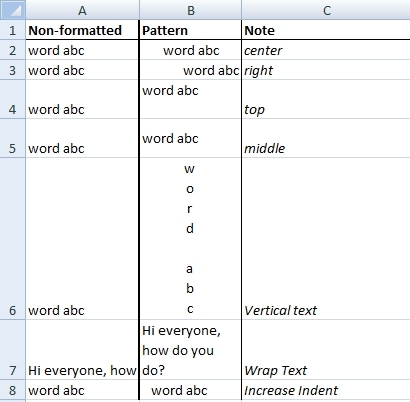 Border format exercise shows how to use the simple border formatting in Excel. 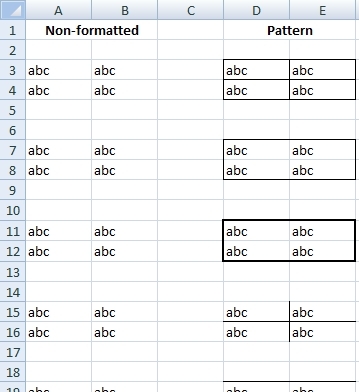 In the final exercise are two tables that you have to format. This is a mix of the formatting techniques used in the previous exercises. This exercise is for free and you can use it, change it or copy it. If you find any mistake, please leave a comment. LUV THIS WEBSITE SO USEFUL AND HELPFUL. I have downloaded your Excel file with excercise. It is very good. Thank you. How to format cell in Excel? Now I know. Thank you. Great and simple exercise. Thank you.